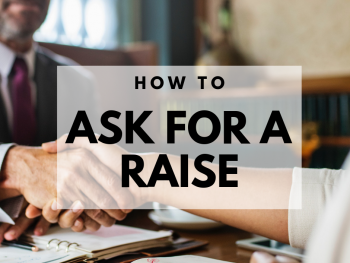 “What is your salary expectation?” It’s one of the most dreaded interview questions of all times probably because it blends the awkward conversation topic of money with the fear of asking for too much, too little or downright rejection in the worst case scenario. Sure we’ve all seen the Hollywood version of a high-powered corporate negotiation and we want to feel as cool, calm and in control but the truth is there’s no need to talk numbers yet. Avoid any mention of numbers here. If you’ve done your research (and you should have) you know the expected range for the role. You know exactly what someone like you should be making otherwise you wouldn’t be sitting across the table from that sneaky interviewer, right? RIGHT! As a general rule of thumb when interviewing, be prepared. This goes for all conversations around salary as well. There are a number of great resources available to you for the job search and the same goes for conversations around salary. Some of my favorites? In order to know your market value, I suggest using Glassdoor’s salary tool. Another resource for this is Payscale.com. 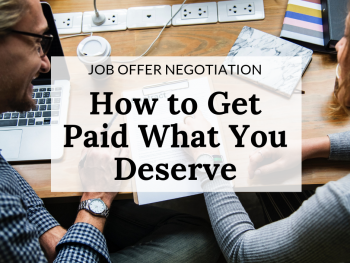 Payscale offers the opportunity to gain insight into what you’re worth as well as what you’ll want to ask for in your next role considering a ton of factors (location, market, industry, etc.). 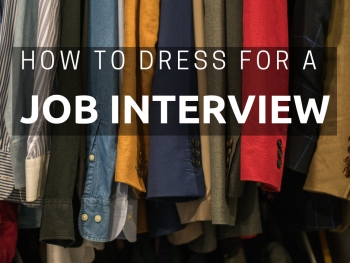 You might also want to check out a few more ways to prepare for an interview. Yes, I just shared salary tools with you. Yes, you should use them to be as prepared as possible to talk numbers. No, you should not be talking numbers when answering this question. You want to be as vague and disinterested in numbers as possible. You can talk numbers further into the process, but right now it’s all about learning about the opportunity. The only reason I shared those resources? Simple. You have to do your research if you’re going to be prepared and predicting interviewer behavior is not totally guaranteed (even by me). 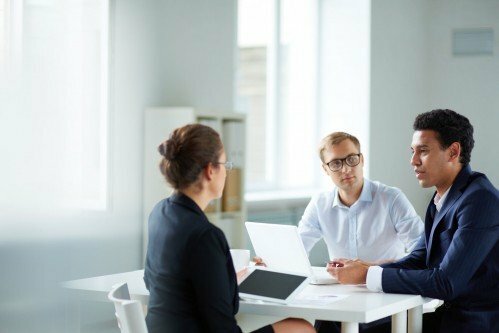 In the off-chance you encounter an impatient interviewer who is pushing to have the conversation right now, you’ll want to have at least some sense of what you’re worth and what’s realistic. You know the question is coming so try to avoid feeling sabotaged. Your interviewer doesn’t want to make you a lowball offer, he/she just wants to make sure it makes sense to keep talking. After all, would it really be worth it for you or them to go through an entire interview process only to find out you both wasted your time on misaligned expectations? Heck no! Likeable people receive job offers and win salary negotiations. If you aren’t perceived as being likeable, you are decreasing your chances of advancing in the process. Whatever you do, don’t get ruffled by this topic. Smile and casually express more interest in learning about the role and potential fit. “Money can’t buy you happiness. Money also can’t be increased to make you happier once the new job glow wears off.” Tweet this now! The company needs to know you are invested in their mission, your career advancement, doing something that keeps you fulfilled – anything other than money. If your interviewer senses that you are only in this for the money, he or she may perceive you as someone who’s only in it for the short haul. This is the fastest way for you to axe any chances of being hired. Stress the importance of wanting to learn whether or not this is a fit before talking money and you’ll gain much more respect than going straight for the money. Conversations around salary are pretty standard for the initial phone screen or interview. Just because we’re touching on money, doesn’t mean we’re talkin’ money just yet. 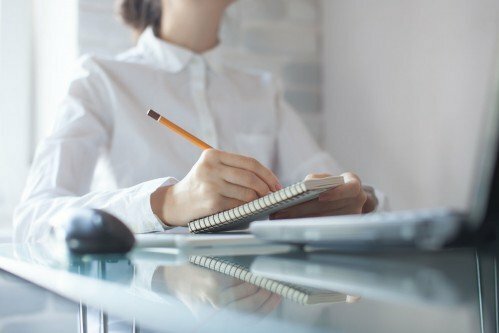 Your interviewer wants to know if it makes sense to continue talking which means, he or she might see you as a fit (or they just need to tick a box on their screening checklist). Either way, stay calm and carry on. If you do happen to go down the path of money and you start to get interrogated about your current salary, avoid any temptation to inflate your current or past earnings. Number one – lying is just outright bad (but you knew that). 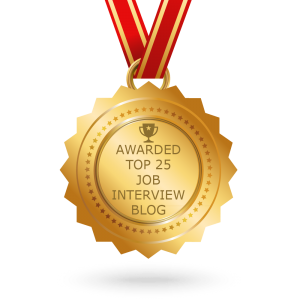 Number two – employers can get their hands on this info and nothing will take you out of the running faster than an interviewer who’s been lied to.